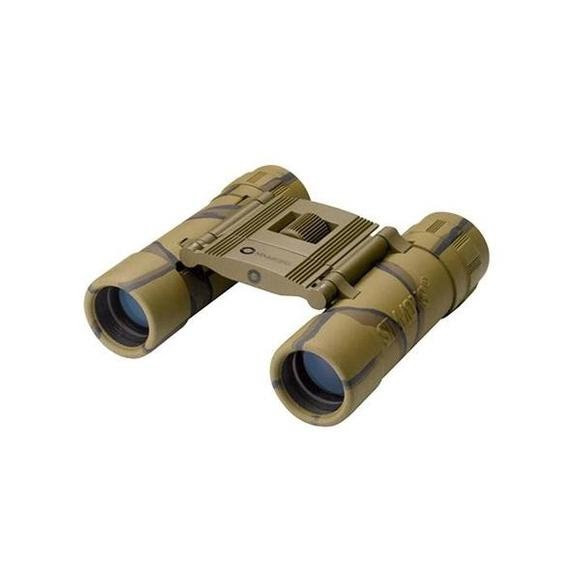 Compact for an easy carry, camouflaged for concealment and featuring fully multi-coated glass surfaces for maximum image transmission and light, Bushnell's Simmons Prosport Compact Camouflage Binocular is built for the stalk! Compact for an easy carry, camouflaged for concealment and featuring fully multi-coated glass surfaces for maximum image transmission and light, Bushnell&apos;s Simmons Prosport Compact Camouflage Binocular is built for the stalk! Lightweight, compact and ergonomic design.